One of the publishers that you're not going to hear too much about is Kalypso. It's largely a simulator specialist, and doesn't get a whole lot of media coverage; not when there are games featuring evisceration for the media to talk about instead. But make no bones about it. Kalypso has had a really good E3, and this is largely because of two games. The first is Railway Empire, coming to PC and console in 2018. This is a modern take on titles like Transport Tycoon, A-Train, and Industry Giant II (which, incidentally, is also available on PS4, and is worthwhile in its own right). 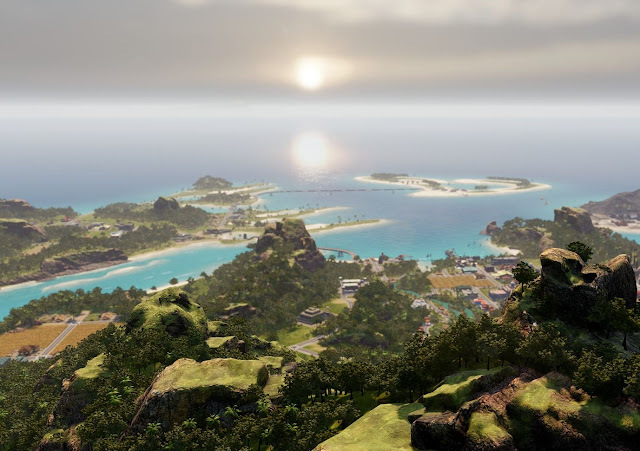 The other really exciting Kalypso game in the works is the latest in the long-running satirical city builder, Tropico 6. While the tone to these games is light and hilarious, the games themselves are actually very fine city builders, and the kinds of titles that you can sink dozens of hours into at once. Related reading: Matt's review of Tropico 5 on the PlayStation 4. This new Tropico brings us its lightly political humour (one or two digs in there at Donald Trump, and good on 'em), with some significant new enhancements to make the game the best and most robust title in the franchise to date; trailer and feature set below. This game is also due on both consoles and PC at some point in 2018.